You can be confident that all our installations are backed by the top industry marques and qualifications. If you want to read more about any of the schemes listed here, please follow the links at the end of the description of just ask us! 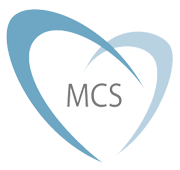 To be awarded the ‘MCS Mark’, installers of microgeneration products and services must be independently certified in accordance with consistent standards. All MCS Accredited installers are also signed up to a code of practice in line with the Office of Fair Trading’s consumer code of approval scheme. REAL Assurance Scheme members are firms selling or leasing small-scale renewable or low carbon heat or power generation units who have agreed to comply with the REAL Assurance Scheme Consumer Code. This Code is backed be the Office of Fair Trading as part of its self-regulation initiative, the Consumer Codes Approval Scheme. The National Inspection Council for Electrical Installation Contracting (NICEIC) is an independent, charitable body that offers a voluntary regulatory service covering the UK. The NICEIC was created to ensure that consumers are protected from the “unsafe and unsound electrical work”. Energy Saving Trust Recommended is the Trust’s product labelling scheme for the most efficient products on the UK market. The label can be found on 32 different types of products across insulation, glazing, home electronics, heating, home appliances, lighting and IT sectors. When you see the label on products you can be sure that it will save you energy thanks to the strict performance standards, set by the Energy Saving Trust and industry experts, that it has met. 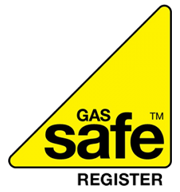 Gas Safe Register is the official body for gas safety in the United Kingdom, Isle of Man and Guernsey. This means that whenever a gas engineer caries out work on your property, by law they must be on the Gas Safe Register. The Gas Safe Register exists to ensure gas safety for you, your family an your property.